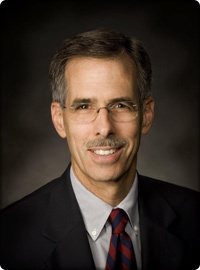 > Home >> Keynote Speaker Bios >> Dr. John Tracy, CTO, Boeing Co. In his current position, John Tracy oversees the development and implementation of the enterprise technology investment strategy and provides strategic direction to several functions, business organizations and initiatives involving more than 100,000 employees. Property Management, and Environment, Health and Safety organizations, and (3) the Boeing Development Process Excellence initiative. Prior to his current position, Tracy was vice president of Engineering & Mission Assurance for Boeing’s Integrated Defense Systems business, responsible for all of Engineering’s processes, tools, and a 32,000-person team. Tracy joined Boeing as a stress analyst in 1981 and held a variety of positions in engineering and research. Prior to Boeing, he served as a high school science and math teacher in Los Angeles. Tracy earned his PhD in Engineering from the University of California - Irvine, and has a Master's and Bachelor's in Physics from California State University at Los Angeles and Dominguez Hills, respectively. In addition to being a Fellow of the American Society of Mechanical Engineers, the American Institute of Aeronautics and Astronautics, and the Royal Aeronautical Society, he has authored over 30 publications in the areas of aerospace structures and materials.